Truly beautiful patios Charlotte NC are no easy to find. 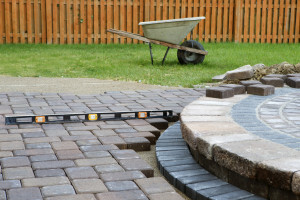 Contractors that build beautiful patios at affordable prices are even harder to find. If you looking for a patio in the greater Charlotte NC area, you found the right website. Call us at (704) 490-4597. We have many affordable options that will make your backyard look awesome! First we would like to do an evaluation. Do you have a pool? What is the view from the house? What is the view from the side? What is the grade of the landscaping? These are the things we need to look at. We can provide better information after the evaluation. Call us to set up an appointment. And of course we will answer as many questions as we can over the phone. Call us today! When you look at all the patios that Charlotte homes have, you will notice that many of them aren’t properly taken care of. This is quite common in the area of Charlotte, but once you see a beautiful patio that is well taken care of, you might wonder if you want one yourself. You need to find a good contractor that can give you the best kind of results with an affordable cost, which is very hard to find in this area. We will provide the kind of service that you need and charge the kind of price that you can afford. That is why we are the very best at what we do. We will first evaluate the kind of options that you have in order to come up with the best patio design for you, and then show you the results on paper. The grade of landscaping, view from the sides, the amount of things that might be in the way, and other factors need to be considered before we start to work, but we can assure you that the end results will be worth your time. A good looking patio is going to be an incredibly good enhancement for your home. You need to consider investing on it if you want your properly value to increase, and there is no question about the appeal that it has when you simply want to relax and enjoy a quiet time in your home. A good patio design can make a huge difference and that is the reason why you need to call us. We are the best patios Charlotte NC contractors & we are going to make sure that you are completely satisfied with your results.